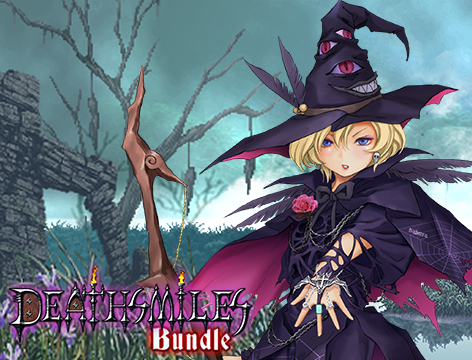 Deathsmiles Bundle| RPG Maker | Create Your Own Game! Deathsmiles is CAVE's bullet-hell shoot-'em-up where you take the role of one of five Angels to defend the magical land of Gilverado from an invasion by Hell itself! Team up with a friend, choose an angel, and eradicate this devilish assault across six different game modes! Deathsmiles Bundle is the official collaboration between RPG Maker and CAVE, resulting in a charming set of characters that are ready to use right out of the box. Whether you're brand new to the Deathsmiles universe or a long-time fan, you'll want this pack in your RPG Maker library. 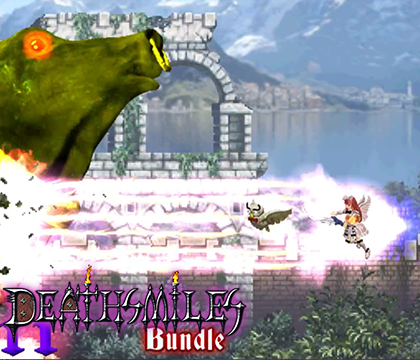 STEAM key for Deathsmiles, as well as STEAM key for the Deathsmiles Character Pack - in addition to a stand-alone Deathsmiles Character Pack download. A walking character sprite for Casper, Follett, Rosa, Sakura and Windia – created in the same style as RPG Maker MV and RPG Maker VX-Ace RTP. High-quality bust of each character, complete with emotions. Cropped and formatted faceset, including 2 orientations. BONUS: Busts and facesets for the girls' creature familiars.